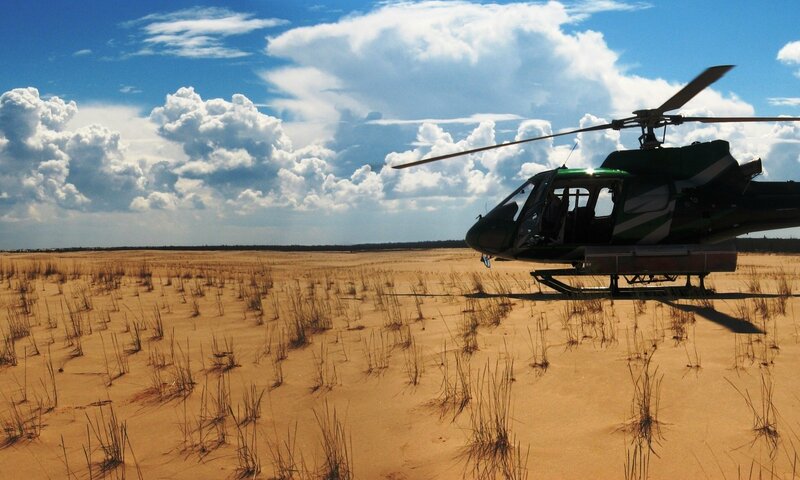 Northeastern Alberta is one of the most rugged and remote regions of our province. It is home to many wildlife and plant species, and contains a diversity of different habitats including peatlands and forests, as well as unexpected habitats like sand dunes. It is also an area of significant economic importance to Alberta due to its robust and expanding energy and forestry industries. The growth of these industries, however, has a measurable impact on the region’s landscapes and wild species. 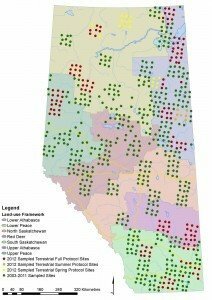 Given the associated demand for credible and comprehensive scientific data on the status of biodiversity in northeastern Alberta, the Lower Athabasca Planning Region (LAPR) has been a focus of the ABMI’s monitoring activities. Provincial map showing all terrestrial sites monitored in 2012 for spring and summer protocols (N=171). The ABMI recently produced the report “Monitoring Activity Report: Lower Athabasca Planning Region 2012 Season,” which summarizes the ABMI’s activities and general findings for the LAPR from 2012. The report states that from 2011 to 2012, ABMI’s monitoring activity increased by more than 20% across the province. As a result, over 170 terrestrial sites were visited province-wide, with 61 located in the LAPR. From this single season in the LAPR, the ABMI recorded more than 700 species of birds, plants, mosses, and soil mites from terrestrial sites, and almost 500 species of plants, aquatic insects, and other animals from wetland sites. These numbers demonstrate the huge diversity of species that call northeastern Alberta home! Of all of the species identified, the most widespread bird was the Yellow-rumped Warbler, which occurred at 93% of the ABMI’s LAPR sites in 2012. 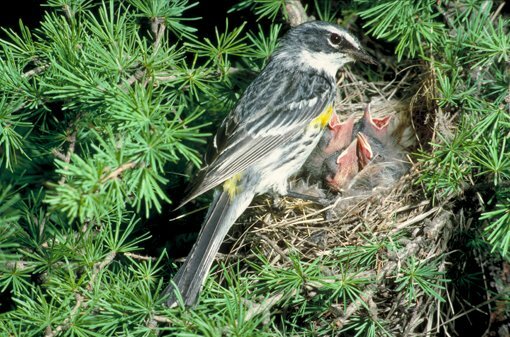 These wood warblers are found in Alberta from late April until September. Although they establish in all forested areas of the province, they prefer conifer forests to build their nests on conifer branches. As their name might suggest, they have a bold yellow rump, along with a yellow side patch to match. When it comes to plants, the most widespread species detected at aquatic sites was the Marsh Cinquefoil; it was found at 78% of the ABMI’s wetland sites in the LAPR. This plant prefers marsh, bog and shoreline habitat and is actually a member of the Rose family. Yellow-rumped Warbler (Dendroica coronata). Photo: Royal Alberta Museum. The ABMI also updated its province-wide human footprint map to reflect human disturbance on the landscape from the year 2010. That year, the two largest contributors to human footprint in the LAPR were the agriculture and energy industries: agriculture visibly converted 2.67% of the LAPR’s land base, and the energy sector converted 2.11%. The energy industry, however, showed the greatest growth in footprint between 2007 and 2010. The data the ABMI has collected from this unique and valuable region are being used to track how regional biodiversity is responding to changes in land use over time. To get more details on the data and methodology, please read the monitoring activity report here. 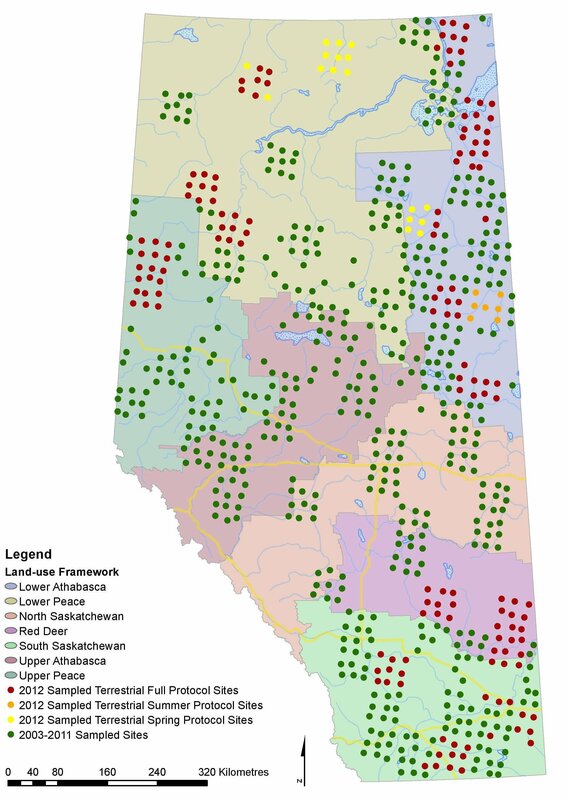 The ABMI report “The Status of Biodiversity in Lower Athabasca Planning Region” is expected in spring 2014.